This article provides an overview of common RF connector coupling/mating mechanisms. There are five common mechanisms, each with their unique advantages and disadvantages. Illustrations used in this educational article have been provided with the generous assistance of Huber+Suhner. This coupling mechanism consists of a twist and snap design featuring interlocking studs and slots. 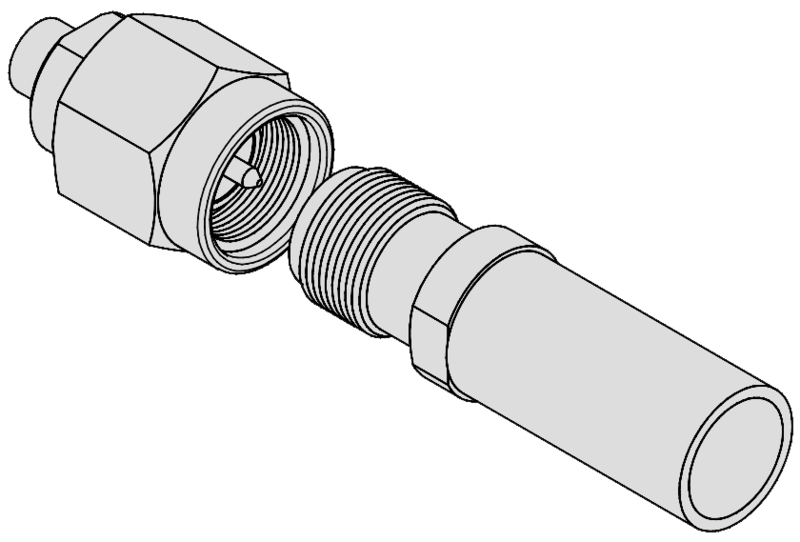 The bayonet connection is most recognisable in its use on BNC connectors. This type of mating mechanism is often chosen when applications require quick connection, with the tactile 'snap' providing positive confirmation. Connector series featuring this mechanism include: BNC, C, HD-BNC, MHV, SHV, TPS, ZMA, and more. This coupling mechanism consists of a basic thread and nut design. 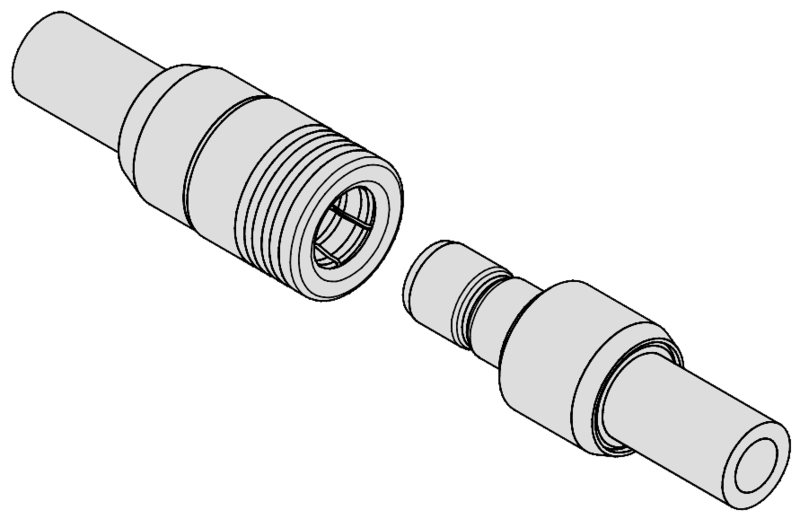 Screw-on connections are the most commonly found amongst RF connector series due to their mechanical durability, however close attention must be paid to ensure coupling is not over-torqued. Connector series featuring this mechanism include: 7/16 DIN, FME, HN, LC, LT, N, SC, SMA, SMC, TNC, and more. This coupling mechanism consists of a very simple metal-to-metal contact mating. Requires tight manufacturing tolerances to ensure high performance. No positive confirmation of mating. Most blind-mate designs use a slide-on or push-on mating. 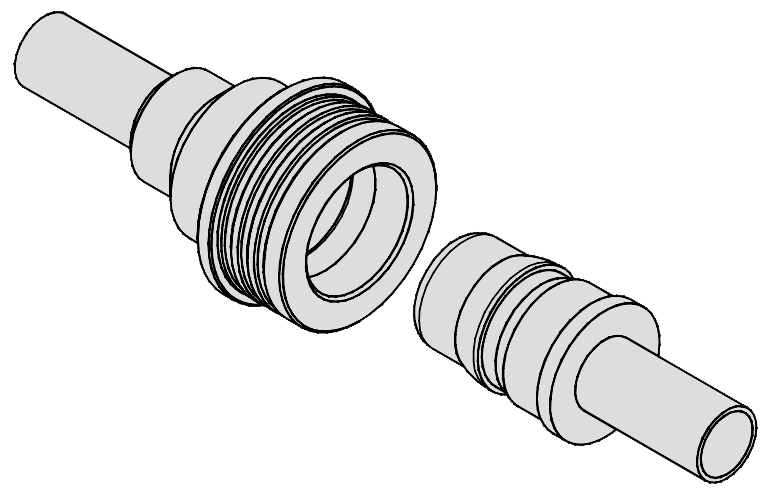 Connector series featuring this mechanism include: 1.0/2.3, BMA, BZ, G, MBX, MXP, and more. This coupling mechanism is similar to slide-on mating but with a positive confirmation provided by a tactile 'snap' when engagement is successful. Despite the additional complexity this design is mechanically very reliable. Connector series featuring this mechanism include: MCX, MMCX, MMPX, SMB, Mini-SMB, SMZ, SSMB, and more. Quick lock coupling is mechanically similar to snap-on coupling, but featuring an additional self-locking component. 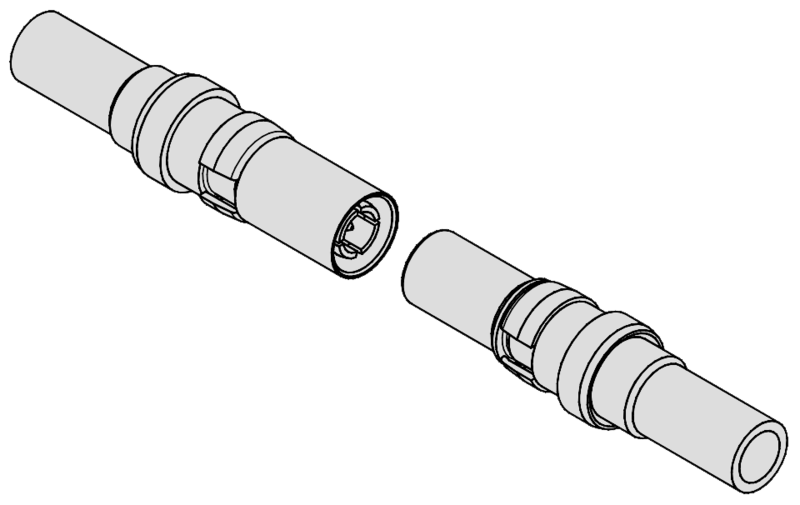 Disengagement of connectors requires locking to be disengaged by retracting the unlocking-sleeve located on the male connector. This mechanism provides all advantages of snap-on coupling while preventing unintentional loosening. 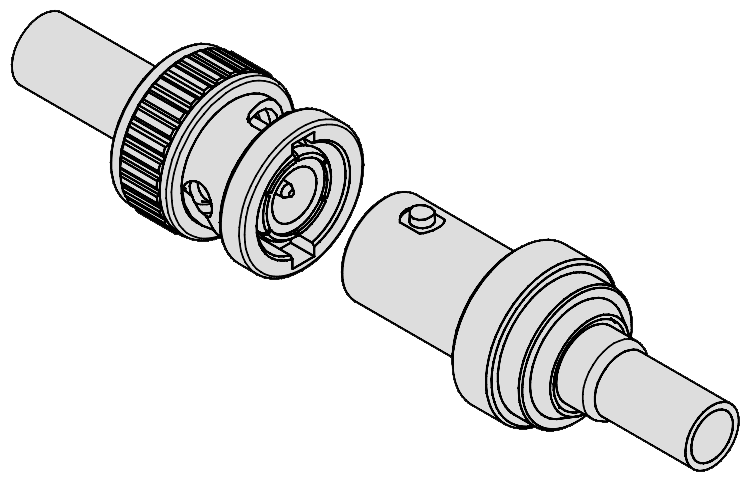 Connector series featuring this mechanism include: QMA, QN, and some precision connector variants such as Type-F 1.0/2.3 and Type-F 1.6/5.6.